The heat is considered by the drivers to be the most challenging issue for Sunday, but during the first day of the Trento-Bondone, the day dedicated to the verification in Piazza Dante, it was not a factor. A shower has indeed cooled everyone, so it was an "easy" approach for the tests of tomorrow and the Sunday race. The elements to attend a nice sports weekend are all there. In particular there are the protagonists of uphill speed race, both Italian and European drivers, really concerned about the “Trentino” competition not only because it is the only Italian race to award points for both championships (national and continental), but also because its length and its fame attract those who love the challenges with other drivers. Yesterday verifications have shown some surprises. The Swiss Tiziano Riva (Reynard 92D Cosworth), the Czech Josef Michl (Lotus Elise Group E2S) and a loyalist of this race as Rudi Bicciato (Mistubishi) will not start the race. 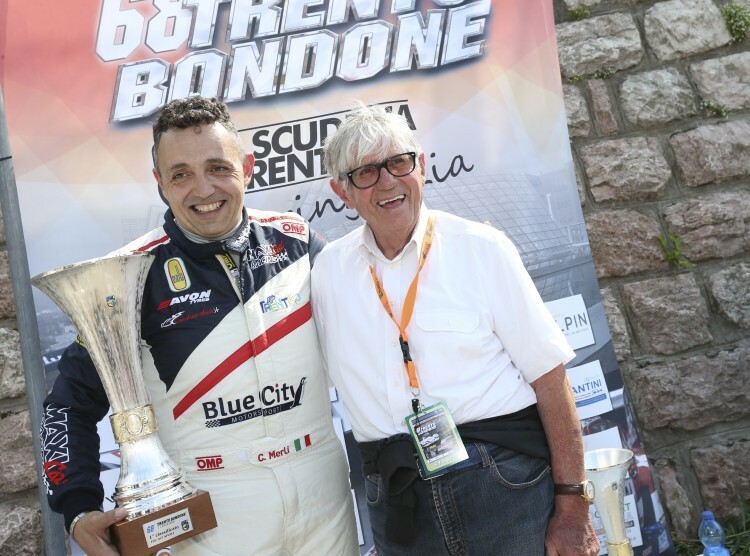 The Serbian Nikola Miljkovic (Mistubishi) and conductors of two historic cars, the Trentino Lorenzo Delladio (Porsche 911) and Paolo Gonella did not show up in Piazza Dante as well. The group of drivers falls from 234 to 228. Furthermore, Michele Fattorini (Osella Pa2000), Umbrian member of the Trentino Team did not enroll, as he already has all the points necessary and he just decided to take part in his home race at Passo dello Spino. Tomorrow, thanks to the tests, cars will start to become familiar with the 17.3 km tracked between Montevideo and Vason. The road will close at 7:30 am; the first car will start at 9:00 am and many people will take their place along the roadside to see the competitors for the first time. The timing results of Saturday should be viewed lightly, but they will show what drivers and the cars can do on the long Trentino race. Last year Christian Merli recorded the best time, but then on Sunday Faggioli posted a better one. This season the Tuscan “flying wheel”, as usual, has not lost a race. But this did not deter the pilot of Fiavé, for years his most fierce and competitive opponent. Christian has a top performing car, the new Osella FA 30 Evo with an Rpe engine, able to give him more of a chance (and especially some horses) than last year. His problem is to quickly find the right set-up, and therefore, tomorrow morning tests are an opportunity to capitalize. However, it would be naive to reduce the attention to these two drivers. In the race, there will also be the leader of the classic Civm, Domenico Scola. He is young and determined after the 2nd place finish in Fasano. 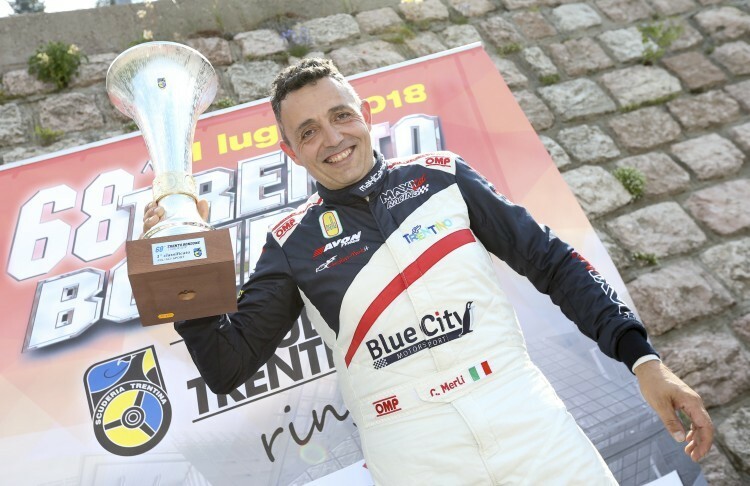 The 23 year old of Ionia Racing has demonstrated his character also in Ascoli, despite an electrical problem in Race 1 that stopped the Osella PA 21 Evo, in Race 2 was able to be on the podium. Many “Trentino” drivers are looking for a place in the sun: Matteo Moratelli (Osella PA 2000 Honda), Luca Piffer (Radical Prosport), Adolfo Bottura (Osella FA 30 Zytek) and Diego Degasperi (Lola Judd), pointing to the absolute top ten together with Paride Macario (same car as Bottura), the “highlander” Franco Cinelli and the young Luxembourg David Hauser (Wolf GB/08 F.1). 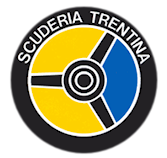 In the 2000 class of single seat car, the challenge involves the 25 year old from Brescia Karim Sartori, the evergreen home rider Gino Pedrotti and young Giancarlo Sartori, all with the Tatuus F. Master. 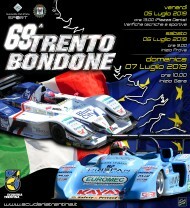 In the 1600 class to contend for primacy with competition across the border there will be, Enrico Zandonà on F. Renault, Federico Liber on Gloria CP 08, as Daniela Ronconi, the only female among the single seat cars. Zandonà is a true slalom world-class and Liber will try to make it to the podium in a race in which he always shows a great performance. The GT group will be highly admired with their leader Roberto Ragazzi (Ferrari 458) from Padova. Francesco Leogrande (Porsche 997) from Puglia will give him a hard time with the same car of Rosario Parrino, Sebastiano Frjio and Guido Sgheri. 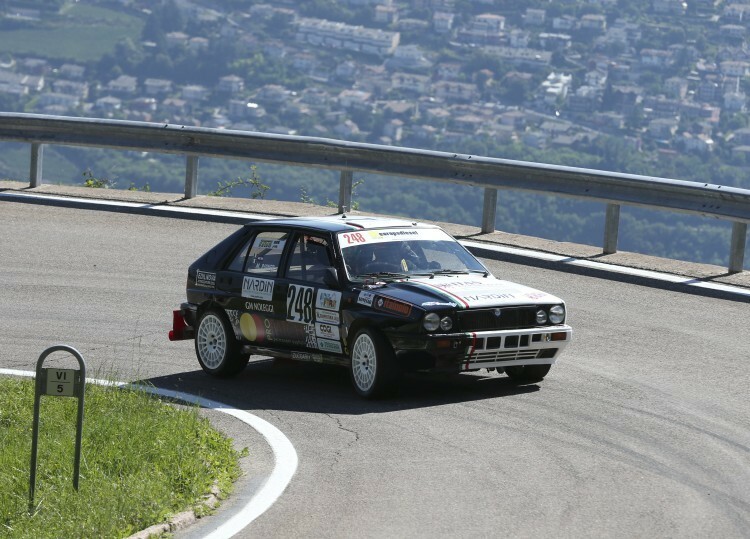 For E1 Italia group, Trento-Bondone will offer a spectacular starting point for the battle between the top leaders Marco Gramenzi from Teramo with the Alfa Romeo 155 V6 and the Fulvio Giuliani from Bolgna with the Lancia Delta EVO. The many foreign drivers fighting for the European will be the main opponents, but also Claudio and Nicola Zucol, Michele and Giuseppe Massaro Zarpellon, all with the BMW and all from Trentino. Tomorrow tests will start at 9 am, Sunday the race will start at 10 am. © www.sportrentino.it - tools for sports sites - page created 0,031 sec.